The work of artists such as Trevor Paglen, Omer Fast, and James Bridle exists within a long tradition of artists bearing witness to events that our governments and military would prefer we didn’t see. 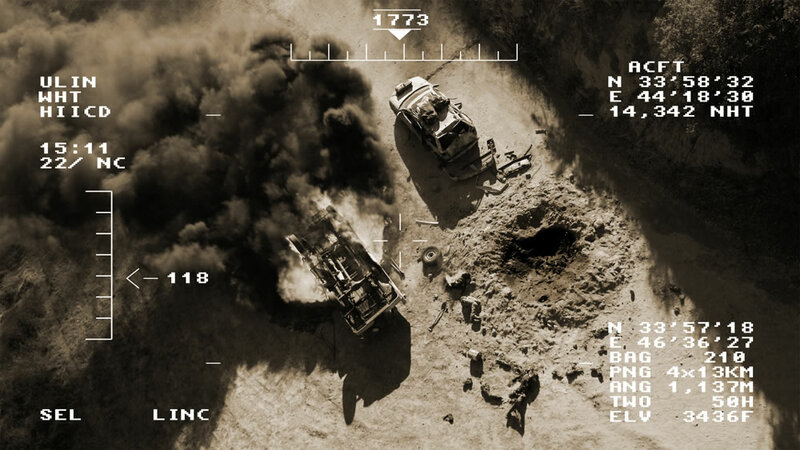 But Bridle’s work is also part of an ongoing collective effort from both artists and engineers to reveal the technological infrastructures that enable events like drone-strikes to occur. “Witnessing a drone hovering over Waziristan skies is a regular thing,” says Noor Behram, who shot this video outside his house in Dande Darpa Khel, North Waziristan. For more than five years, Behram has been documenting the aftermath of drone attacks in Pakistan’s tribal areas, the hub of the CIA’s remote assassination program. When Behram learns of a strike, he races towards ground zero to photograph the scene. “North Waziristan,” he explained “is a big area scattered over hundreds of miles and some places are harder to reach due to lack of roads and access. At many places I will only be able to reach the scene after 6-8 hours.” Nonetheless, Behram’s photographs are some of the only on-the-ground images of drone attacks. The film is based on two meetings with a Predator drone sensor operator, which were recorded in a hotel in Las Vegas in September 2010. On camera, the drone operator agreed to discuss the technical aspects of his job and his daily routine. Off camera and off the record, he briefly described recurring incidents in which the unmanned plane fired at both militants and civilians – and the psychological difficulties he experienced as a result. Instead of looking for the appropriate news accounts or documentary footage to augment his redacted story, the film is deliberately miscast and misplaced: It follows an actor cast as the drone operator who grudgingly sits for an interview in a dark hotel. The interview is repeatedly interrupted by the actor’s digressions, which take the viewer on meandering trips around Las Vegas. Told in quick flashbacks, the stories form a circular plot that nevertheless returns fitfully to the voice and blurred face of the drone operator – and to his unfinished story. 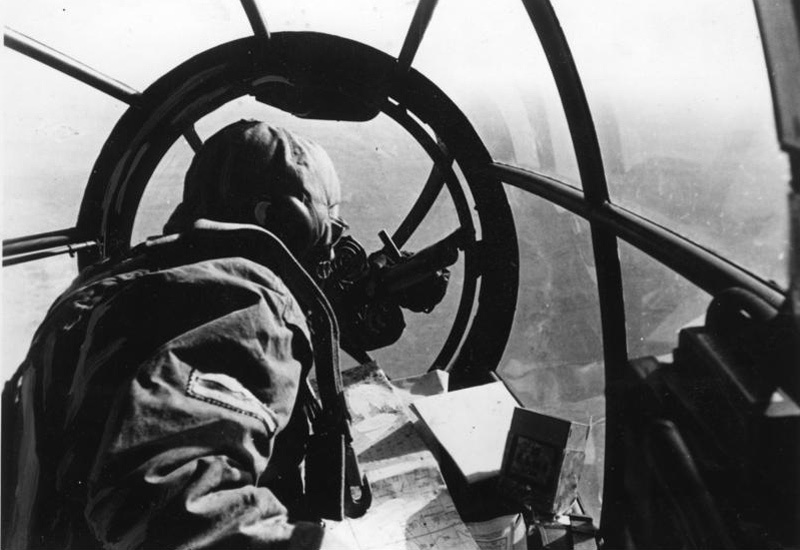 What is particularly interesting to me are the ways in which ‘seeing like a drone’ is and is not like seeing through a standard bombsight: the techno-optical regime through which conventional bombing has been conducted differs from the high-resolution full-motion video feeds that inform (and misinform) the networked bombing of late modern war. Those feeds significantly compress the imaginative distance between the air and the ground, but they do so in a highly selective fashion. Today’s remote operators, who may be physically thousands of miles away from the target, nevertheless claim to be just 18 inches from the conflict zone, the distance between the eye and the screen, and they (un)certainly see far more of what happens than the pilots of conventional strike aircraft. But in Afghanistan, where remote operators are usually working with troops on the ground, they become immersed in the actions and interactions of their comrades – through visual feeds, radio and internet – whereas their capacity to interpret the actions of the local population is still strikingly limited. So it is that local lifeworlds remain not only obdurately ‘other’ but become death-worlds. This entry was posted in art, drones, film, visuality and tagged James Bridle, Noor Behram, Omer Fast, Trevor Paglen by Derek Gregory. Bookmark the permalink.